We are engaged in import and supply of unmatchable range of Integrated Circuits. These circuits offered by us have been designed by our reputed vendors to ensure low power consumption, along with excellent performance. Our integrated circuit are extensively used in several applications in almost all electronic equipment. 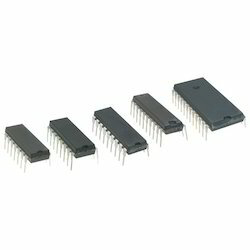 We are a paramount organization that is involved in supplying, wholesaling, importing and distributing superior quality Logic Ics Cmos Series. Designed to perfection, our offered products are available in various models and specification at competitive prices. Additionally, these products are properly packed using quality-approved material to assure safety during delivery.